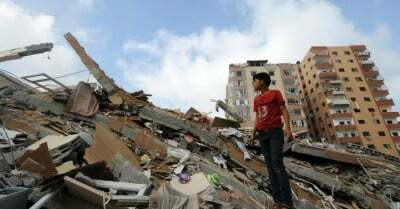 Signaling further attacks on Gaza, during a November 10 talk at the Center for American Progress in Washington, Netanyahu said that Gaza has “become this poison thumb, this poison dagger that sends rockets” into Israel and that Israel must be prepared for a long period of tension. “… support (for) the continued occupation is like a person who continues to buy drugs for an addicted relative. This is neither concern nor friendship; it is destruction… “false” friends of Israel – have been one of the curses on this country for years. Because of them, Israel can continue to act as wildly as it likes, thumbing its nose at the world and paying no price. Because of them, it can destroy itself unhindered.